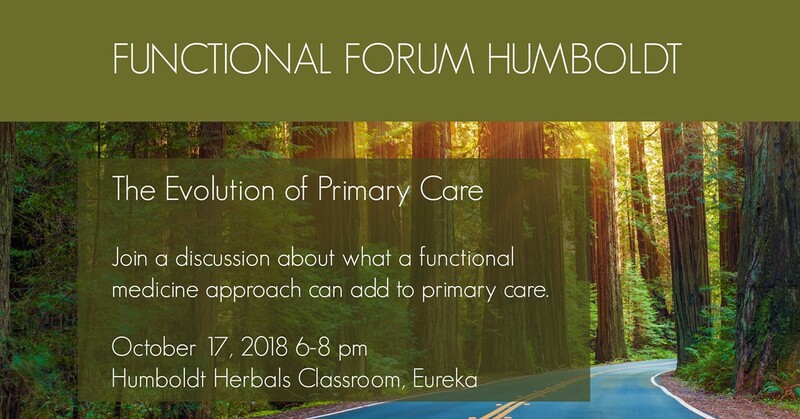 Join host Amanda Malachesky, Functional Nutrition and Lifestyle Practitioner, for Functional Forum Humboldt, a collaborative discussion about what functional medicine can offer to primary care to improve patient success. We will screen a presentation by Dr. Christie Hughes, ND, and Director of Education for the Institute of Functional Medicine, discuss how we can apply these principles in Humboldt County, and share resources. The Functional Forum is a nation and worldwide network of local meetups. This event is open to the public, and especially to health care providers of any stripe who want to encourage better patient outcomes.